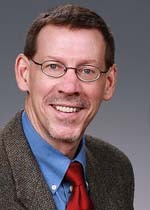 Dr. Brandt is the Director of the Coastal Sciences Division within Pacific Northwest National Laboratory's Energy and Environment Directorate. The division includes approximately 60 staff based at the Marine Sciences Laboratory (MSL) in Sequim, Wash., and at offices in Seattle and Portland, Ore. The division's work focuses on coastal environmental health and restoration, sustainable ocean energy, understanding and mitigating effects of climate change on coastal systems, and coastal security. Prior to his current position, Dr. Brandt managed PNNL's $20 million business portfolio in environmental sustainability, ensured expert delivery on environmental projects totaling $80 million, and served as a technical group manager. Dr. Brandt is an ecologist conducting research for more than 20 years with a specialty in the area of biological fate and effects of contaminants. He serves as a peer reviewer for several international journals in the areas of mammalian field studies, oil and gas industry effects on the environment, and ecological risk assessment. Dr. Brandt is an adjunct professor in the Zoology Department at Washington State University. Brandt C.A., J.M. Becker, and A.C. Porta. 2002. "Distribution of Polycyclic Aromatic Hydrocarbons in Soils and Terrestrial Biota After a Spill of Crude Oil in Trecate, Italy." Environmental Toxicology and Chemistry 21, no. 8:1638-1643. PNNL-SA-34726. Brandt C.A. 1999. Blanket Biological Review for General Maintenance Activities within Active Burial Grounds, 200 E and 200 W Areas, ECR #99-200-042. PNNL-13878. Richland, WA: Pacific Northwest National Laboratory.